Sometimes nothing can beat a big bunch of tulips that have been freshly cut from Holland’s flower fields. 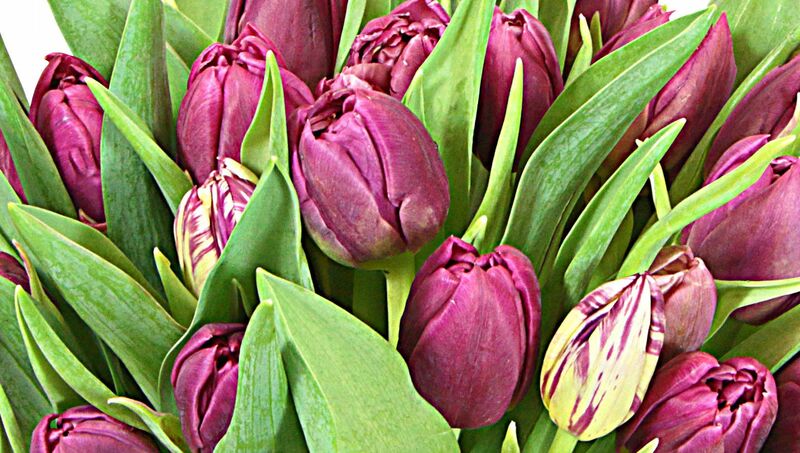 These 50 vibrant purple tulips are sure to bring life into any room and household. Thanks for a super service - I was impressed that you called so quickly to let me know that next day delivery was not possible, and to check whether I wanted to go ahead with the following day. The recipient of the flowers was thrilled with them: she said they were gorgeous and the flowers seemed to lift her spirits at a time of great sadness in her life. beautiful bouquet for my bf's birthday, she loved it! I have ordered B-day flowers for my sister. When I saw the picture of the buquet I was sure it is the right one. Unfortunately she received flowers looking completely different from the picture. I cannot say the buquet she received wasnt nice, but was very different.